We've been back in Boulder a few days now. Hot weather, typical for July. I hiked up to the Satellites to try Face Full of Brian, a classic little V8 power problem. However things were a bit warm and humid and I could not stick the move off the sloper to the fingerlock. A good reintroduction and warm-up to bouldering with an approach. I checked the elevation gain and it is roughly comparable to that for Lower Chaos Canyon, over a shorter distance. The reason I think that's interesting is that the pad-stashing controversy is apparently back with the NPS actually removing stashed pads in RMNP. The Climbing Narc has posted on the topic and I have weighed in at that site already. The short version is that pad-stashing is weak, selfish, and detrimental both to climbing access and the climbing environment. There is no reason that even two reasonably fit climbers couldn't carry up enough pads to protect most of the problems in both Lower and Upper Chaos and carry them back down. I am thinking about going up to Lower Chaos tomorrow, pretty early. Not sure yet what I want to try but I would like to get up there and look around. I think it's time that there was a much more respectful attitude towards the environment in RMNP. I suspect the "insider" attitude towards the area has resulted in more abuse than respect. Boulderers take themselves very seriously but it would be better if they took their responsibilities toward the environment and other visitors equally seriously. 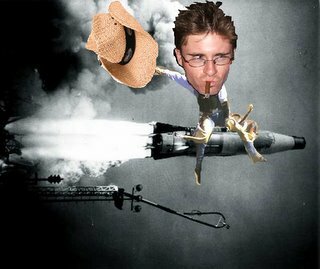 Speaking of taking things seriously it is very hard to take the recent article in Climbing on Rifle very seriously. 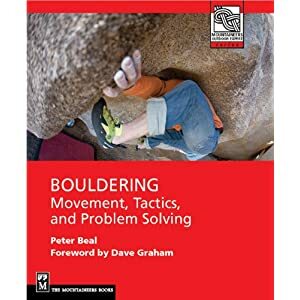 Essentially it profiles the history of sandbagging at Rifle, particularly at the 8b/8b+ level. A Boulder climber whom I know fairly well is described as the master of downgrading and is quoted along the lines of, "Why rate something 14a when some Euro might come along and flash it?" This is a classic instance of how to sabotage your path to improvement. 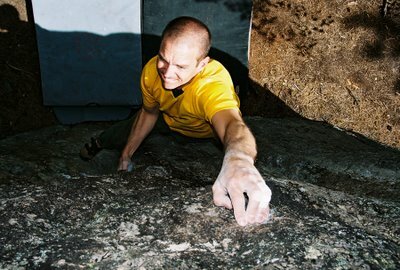 When you become so obsessed with a number and your "reputation" as a climber that you can't get past the idea that a route might really be harder than you felt it was, you are probably not focusing on getting a whole lot better as a climber. The article was an eerie throwback to a scene in Rifle that was dominant in the 90s or at least was until Chris Sharma did Lungfish in an afternoon and put everything in perspective. That scene with all its dysfunctionality has since dissipated somewhat, helped along perhaps by the increasingly exorbitant cost of driving there from Boulder. The math is c. 350 miles roundtrip at 30mpg so about $45 plus 7-8 hours driving time wasted in polluting the atmosphere all to send the "proj". That's in part why I started exploring local projects instead of queuing up for the 18th ascent of 7 PM Show. It was nice to see a little recognition in an article in the same issue by Abbey Smith about Clear Creek. If I had to choose between Rifle and Clear Creek, I would take Clear Creek any day. Good bouldering, multi-pitch routes, moderate routes, tons of potential, and no parking and camping hassles. The surface is still only being scratched regarding really hard climbs there. Anyway it's good to be back in town, even if the weather is hot. i saw the mention in climbing and dropped by here to give a shout. word. with the respect you know i have for you, is mr. beal not the one to lay waste to many-a grade on climbingboulder.com before the mountainproject conversion? i never paid attention much to route talk, but my memory was that there was a grading sheriff in that town by the name of YOU! this year the idea of "commando sessions" -- driving all distances at all times of day or night and running the approach to try to send for even a few burns of climbing time -- has been axed indefinitely. when the temps drop, perhaps it is time for castlewood's hidden and not so hidden mega projects to get some work finally? will gas prices provide the psych required to project DIFFICULT lines on choss? perhaps, perhaps, perhaps. Good call on the pad stashing. The environment in Lower Chaos is totally destroyed around all of the boulders. Trees pulled out, roots chopped, plants ripped up, all for a simple problem. Makes one wonder about climbers. It also makes one wonder about sharing new areas - if all that happens is the destruction and eventual closing of the area, why share with the larger community? I'll keep the secret areas near Boulder to myself until climbers can learn to respect things a little better. There are a couple that are at 10,000 feet and only 25 minutes from town - perfect for summer but in a fragile ecosystem that needs to be respected. I was never the grading sheriff in Boulder and if you review my comments typically I tended to support a higher reasonable grade than a lower. That's why the usual "It's 12c, not 13a" spray is so tedious and unproductive and usually inaccurate. For instance Lucid Dreaming at Boulder Falls, which I commented on giving it solid 12c, is really 12d by any reasonable standard. It's too bad that the Rifle article made George look like kind of a jerk since he's not. Thanks for the comments Peter. The situation at Chaos could be redeemed by some simple education and a stronger ranger presence on weekends. If boulderers could get the message that noise, careless placing of gear and pads on the ground and excessive chalk could get the place closed, things might improve. I really applaud the removal of stashed pads by anyone, official or non-official. A couple of years ago,I used stashed pads to work on the Kind Traverse and it felt a little strange, like they really didn't belong. The reason is of course that they don't. And I meant to add that a stashed pad at Flag is also fair game. Do you have photos? Only at CATS was my sandbagging anything like consistent and what good did it do me? The only stashed pad I've ever seen at Flag was a couple years ago under Window Shopper after Will sent it. Admittedly, that's probably 75 feet from the road, but I bet that's the one since it was there for a couple months. I read your interview on FRB and was directed over here. Great blog! I was just in Crested Butte for a week visiting my in laws and bouldered at Skyland a bit. People are actually stashing pads there now if you can believe that. Cripes... Its only a 15 minute walk to the boulders! I agree with you about the lameness of the Rifle article. Interesting from a historical perspective for the small subset of Rifle-holics, but its not clear who Climbing is targeting with an article like that. Does anyone other than a half-dozen people care about whether Rifle "13d" means 13c or 14b? There hasn't been a good article in the big-2 mags in 5 years, so what do you expect I guess? And I take offense at your dig about 12c vs. 13a squabblers, sir! Seriously though, most sports have well defined benchmarks against which you can measure your progress (or, for some, establish a pecking order). I've climbed in enough different places now that I've witnessed probably a 2-3 letter grade difference between some areas (or 8 in the case of some old school trad 5.8s and 5.9s). Success on BoCan 12+/13- routes didn't translate to success on Rifle routes of that grade. How can you measure your progress if grades are so all over the place? Is it enough to just feel like you are improving, or should there be a more objective standard? Can we just settle things by bumping up the grades of most Rifle and hard Eldo routes by a letter grade? Well some of my hardest flash/onsights were at Rifle and at the 13+ grade, I spent roughly the same amount of time working routes in CC/BC as in Rifle. The issue seems mostly to be in the middle 5.9-5.12 realm. There is also the issue of style of climbing. Some people find Rifle to be a hard place to climb, some don't. I won't go over the Eldo issue other than to note that lousy/fiddly pro changes the difficulty of any route drastically. I do wonder how many of the readers of Climbing would really give a rat's posterior about the meaning of 13d at Rifle in 2008? I find even gearless Eldo sport routes to be hard. Take the Web, for example. At 13b, it would be hard at that grade by almost any standard. I seem to remember someone (I won't name any names) calling that 13a. Fire and Ice? 12a?! I get your point about style though. I've been sandbagged several times by people calling routes "soft", only to get bouted by some heinous boulder problem. My point, I guess, is that arguing about grades does have some merit.